Many athletes and teams use the off-season to work on their weaknesses. Race (or game) season is far enough away, that spending a good chunk of your time working on your weaknesses not only makes sense, but is essential to going into the next season more prepared and year-over-year progress. It’s tough for people to do this sometimes – typically, our weaknesses are our least favorite things. 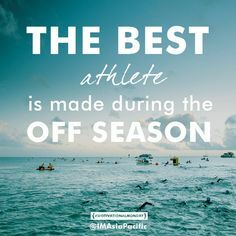 We want to do more of what we love, but to become a better athlete, it’s important to take this time of year and focus on those areas that are holding us back from being even better. 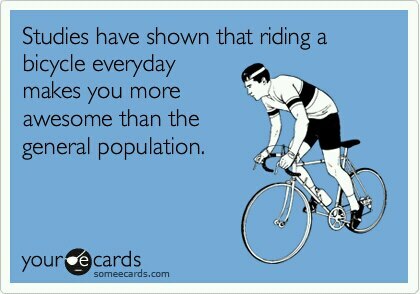 Not surprisingly to many of you, my biggest weakness is cycling. I come from a swimming and running background, and just starting really riding a bike less than 3 years ago. So, this year, after a few weeks totally off, I embarked on an 8 week, cycling-intensive training block. And when I say cycling-intensive, I mean ALL biking and very little running or swimming. For the past 8 weeks, I swam and ran an hour or less per week, at an easy pace. Nothing that would take away from the bike work. All my energy and focus went into the bike. Every day I biked. I did speed work, all out intervals, long endurance rides, tempo rides, recovery rides, low cadence work…anything and everything to get stronger on the bike. Mentally, I struggled at times. Not so much in staying focused in my bike workouts, but in worrying about all the fitness I was losing in running or swimming. I whined about this a bit, especially about 2-3 weeks in…but Tim reassured me that the fitness in those sports would come back quickly once we reintroduced them. Plus, I don’t need to be a fast runner or swimmer in December. I need to be fast in March, April, May! I saw some nice gains in both my aerobic base and max power in the past 8 weeks. I feel stronger both physically and mentally. I’ve added watts, and have the quads to prove it! 🙂 I also had moments of proving my own self-doubt wrong in many workouts. I’d think, there’s no way I can hit x watts, or hold this for 10 more minutes… but many times I was able to dig deep and find strength I didn’t think I had. It’s a good feeling, and one I need to be able to channel in my training and racing as we get further into the season. This week, I’m back to some real running and swimming, along with some bike workouts. I’ll still bike a lot, and most of my intensity is on the bike, but it’s nice to have my 2 favorite sports back in my life! Although I like biking a lot more than I did even a year ago, swimming and running will always have a special place in my heart. In addition to cycling, I’ve also been working on some other weaknesses – mainly core strength, stability, and flexibility. I’ve been working with Mike at Pure Performance, a health and fitness training facility based in Needham, MA. He is helping me get strong for the season, as well as work on those weaknesses to help improve my swimming, biking, and running. It’s been great to have the one-on-one sessions where I am forced to focus on all the little movements, and have constant feedback on my form. After about 4 weeks of training there, I’m seeing significant improvements in my strength and alignment. The moral of the story is, work on those weaknesses during your off season…although you may not enjoy every moment of it, it will set you up well for crushing it in 2015! What are you working on to get better??? ← IM Chattanooga: Ironman Debut!